SFW123TSC Alarm Fire/Water Safe is rated 4.4 out of 5 by 16. The SentrySafe Digital Alarm Safe SFW123TSC is equipped with a loud audible alarm that alerts you to attempted break ins. The SFW123TSC is also built to withstand damage from a fire and flood. 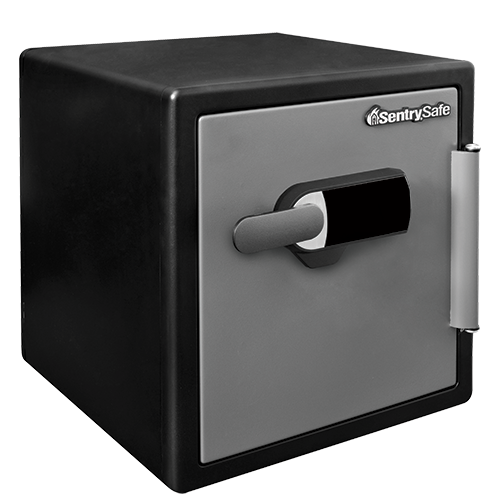 This safe is ideal for secure storage of your important documents, digital media, and other valuables. 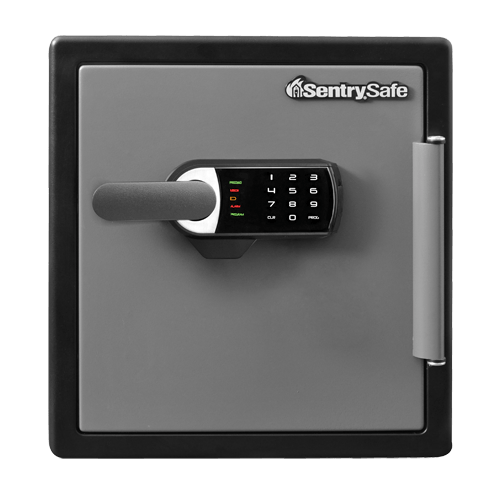 Designed to emit a loud alarm when your safe is picked up or moved, the door is pried open, or five wrong code attempts are entered. Rated 5 out of 5 by Pam13 from Good, solid safe with "extras" We chose this size safe because we have a significant amount of items we would otherwise need a very large bank safety deposit box for. It wouldn't take long to pay for this in bank fees. We chose it because it was both fire and water resistant. We like the digital lock with the battery back-up. We are also pleased there is still a way to get in if the batteries give out suddenly. We like the fact you can set sensitivity, light times, and length the alarm will ring. It was easy to learn and use the features. We are also pleased we can bolt it to the floor and wall. Rated 1 out of 5 by Revg0 from Junk! Buy this product ONLY IF: you want to have the electronic lock fail the next day after having tested it numerous times the day before you want to have to get 3 estimates from a locksmith to have it drilled open (locksmiths are reluctant to give sight unseen estimates) you want to have to lug it downstairs to be drilled out and clean up the drilling mess you want to have to wait a week for a replacement you want to wait 30-45 days to be reimbursed for locksmith costs you want to have to lug a new one upstairs in your house, AGAIN you want to have to dispose of the old safe Yes, that was my experience. I replaced this safe with a digital lock, as opposed to a combination lock, things seem to be OK. I would not recommend the purchase of this model safe (unless you are OK with the process I just described). Customer service was not very sympathetic to the problem. Rated 5 out of 5 by NateRiggsOfficial from Great Safe, Great Service I purchased my safe from Lowe's. It was the last one they had in this model, in fact it was the floor model that was opened. Lowe's was great and gave me a discount but I did not recieve the original owners' manual containing the factory combo. I called SentrySafe and within a few minutes I recieved the factory combo. Great customer service, ireally appreciate it. 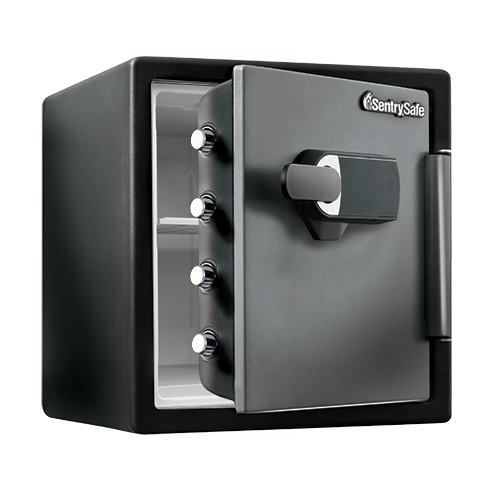 Rated 5 out of 5 by ajlittleton from Secure & Roomy This safe makes me feel more secure about keeping important documents, cash, notary book, jewelry, & whatever else I might want to at home within reach. Plus I’m saving money yearly on safe deposit box rental. Perfect size for our needs. Rated 4 out of 5 by Ride4Ever from Even prescription drugs need security. Any old box can be arranged to lock, but I now have peace of mind knowing my valuables, important papers,pink slips, etc. will be protected (including from heat and fire) giving me more peace of mind if burglarized (again). Rated 5 out of 5 by C and G from Valuable Security This is my first safe and since we considering moving into our new apartment, we decided a place to keep our valuables was in order. 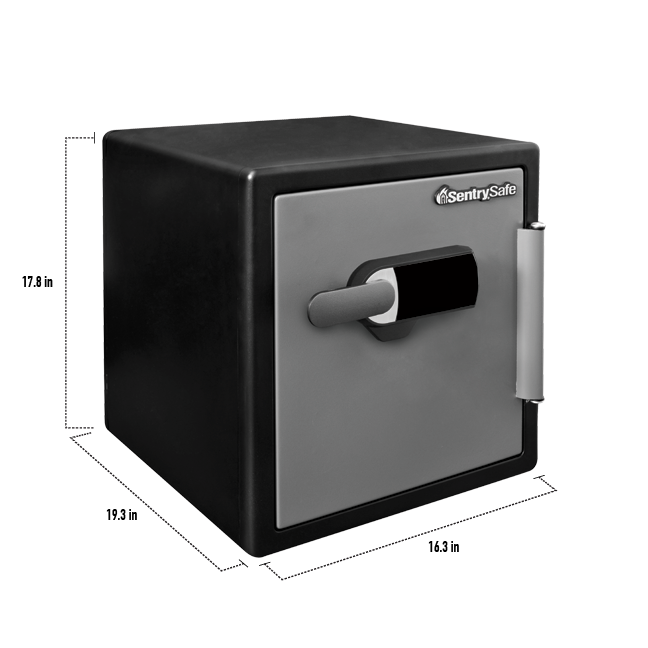 The features on this safe make it ideal to prevent theft: heavy and solid.